With the fourth day, the SIHH is slowly winding down, but goes out with a bang! This is the only day that the fair is open to the public and a lot of people joined journalists and retailers from around the world to admire all the great watches. For us, it is the time to have our last appointments and do the final photoshoots, and once again we were delighted by what we got to see! Montblanc is expanding their 1858 collection with a few new models and among them is the 1858 Geosphere Limited Edition. This watch, of which Montblanc will only make 1858 pieces, now features a bronze case and bezel and combines this with a handsome green dial. While the features haven’t changed, it is a very welcome addition and shows that this model continues to captivate attention. While it has a lot to offer in terms of complications the case is only 42mm in diameter and 12.8mm thick, making it very wearable. It is a perfect timepiece for an explorer, also because it has a water resistance of 100 meters! This year also starts very strong for Cartier. They introduced numerous new models of which one is the Tonneau Skeleton Dual Time. This very handsome watch displays two time zones with only one movement. Thanks to two crowns each timezone can easily be set and adjusted. The case is slightly curved which ensures a perfect fit on the wrist. While the watch itself is among the very first that Cartier ever made, and dates back more than a century, with this movement it looks very modern without taking it too far. For Panerai SIHH 2019 was all about the Submersible. This model is now its own collection within the Panerai family, and many new models joined the line-up. Among them this limited edition which is created in collaboration with their ambassador, Mike Horn, who is dedicated to preserving natures beauty on earth for the next generations. That’s why the case is made out of recycled titanium and also the strap is made of recycled materials. Another new aspect is that Panerai now offers certain limited editions with an experience. This means in this case, for example, that the 19 people who buy this Submersible will join Mike Horn in an expedition, in which you can first-hand experience what he does. 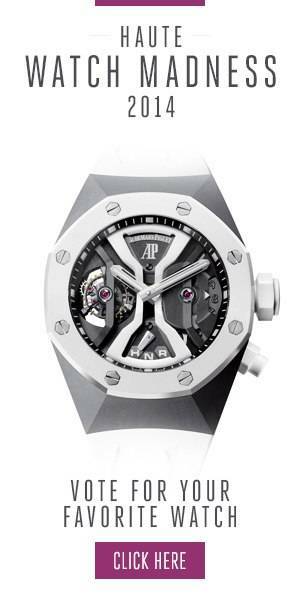 This edition of SIHH was also the last one in its current form, as next year Audemars Piguet and Richard Mille will have left the fair. Their place will probably be taken by other brands who will join the event, which in 2020 will also take place later in the year.